Charlie Waldo has as many layers as an onion. Most of those layers put people off, but he really doesn’t seem to mind. He lives as a minimalist in the woods away from society. But when the outside world comes crashing into his peace and serenity, he grudgingly decides he has to rejoin the human race (which he mostly despises) for a few days. Waldo is asked to help clear an obnoxious, over-inflated actor of murdering his wife. He really isn’t a PI, but somehow the lawyer for the actor thought Waldo could and would take the case. When Waldo left the LAPD he was on the top of his game, but that game included a scandal within the ranks that Waldo could not live with, so he took them down just like any other criminal. To say he burned his bridges would be an understatement. Finding himself back in LA on the set of a movie was not how he envisioned his life. But here he was, somehow too intrigued to go back to the life he chose until he finds the person who he thinks really killed the victim. This choice does not come easily. He is mentally and physically challenged by the reception he more or less expected from his former brothers in blue. As a matter of fact, they hate him, refuse to cooperate when he asks for information and harass him at every encounter. Stoically, he just can’t shake the feeling that there is a bigger picture than the police and prosecutor are painting, and like a dog with a bone, he just can’t let go until he uncovers the truth – if he lives that long. Waldo’s world is intriguing. As a minimalist, he only allows himself 100 Things. If he adds a Thing, such as a comb, a pair of socks or a gun, he has to give away one Thing to never have more than 100. This in and of itself makes him interesting, but he is so much more. One of his Things is a MacBook. He is not out of touch with the world or technology. He is quite current on events in the world and is very well read. He has acquaintances, but not really friends anymore. Donations to charity are part of his monthly routine and he plays chess online daily. The only two people that don’t hate him are the sharp-witted six-year-old daughter of the accused murderer and her kindergarten teacher. 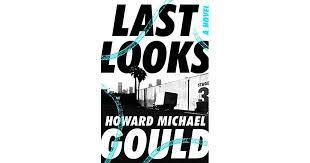 Last Looks is an interestingly multi-layered novel of murder and mystery wrapped in the Waldo’s cloak of minimalism and self-imposed exile from society. Love, lust and revenge are woven into the plot. There is a love scene that is quite possibly the best one I have ever read. It is sensual without being graphic, but not Victorian by any stretch of the imagination. I loved this book. It has every element to keep a reader grabbing it to read a few pages, then chapters. Soon you realize you have spent hours with the characters and story that it is still impossible to put down. This stunningly clever, often funny book is the first novel published by Gould. It is an interesting, amazing read – run, don’t walk to your computer to order it today! DISCLOSURE OF MATERIAL CONNECTION: I have a material connection because I received a review copy for free from Penguin First to Read and Netgalley in exchange for a fair and honest review. Lavinia is rich, wild and daring. Louise is living life on the edge in other ways. She works three jobs just to make the rent on her dinky apartment. When this unlikely duo collide with each other, Louise begins to lose all sense of self as Lavinia becomes a drug and alcohol Auntie Mame, encouraging Louise to live more and more on the edge until she becomes a permanent accessory of her mentor. Soon Louise is going to all the “in” places and seeing all the chic people. Selfies are a must as well as extravagant food, drink and over the top and sometimes illegal activities. The more involved she becomes, the less she is herself. Both figuratively and literally. When the sand castle friendship seems to be dissolving, how far will Louise go to keep up the charade of existence Lavinia has created for her? Do we really know who Louise is? Burton has written a fabulous book of deception and debauchery. Are these two girls Thelma and Louise, just on a joyride through life until the end goes tragically wrong? Are they both cold and calculating – or is one of them manipulating the other to keep from living a lonely existence? The twists, turns and emotions of this novel make it a true page turner. Like Louise it is fun to step into a world that most of us just read about on the internet or in tabloids. Most of us would not like to participate, but what if we had someone encouraging and paying for all of the craziness? Maybe we would give it a try. What if we got in too deep? My suggestion is to live this craziness through the pages of Burton’s engrossing novel. 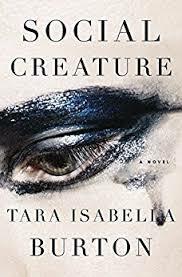 Tara Isabella Burton brings her debut novel to life skillfully. With understated realities, the plot can take the reader places he will hopefully never go in real life. Her writing style creates a reality that is so alluring, we are drawn into the characters and story from the first page and held there until the last word is read. I hope to hear much more from this author. Social Creature is a gem. Casey Eubanks has a job to do. It is distasteful, but this could be his last chance at getting a new start in life. If anyone needed a break, it was Casey, but if history holds, he will need nothing short of a miracle. His only way out is to break the union organizers at a factory in Memphis. Easier said than done in 1960, wages are low and the factories are holding all the cards. Men and women work way too many hours a day with little or no breaks. Sweatshops are the norm, not the exception and the women in this particular shop are treated poorly no matter their age. Even pregnant women are expected to work long and painful hours or there are others in line waiting to take their place. Casey sets up on a hill overlooking the rally, setting his rifle scope on the beautiful dame in charge. Ah, there is always a dame in a good noir, and Casey’s Last Chance is no exception. Ana Gadomska gave Casey every opportunity to kill her. Unbeknownst to her, she was the perfect target standing stock still in the crosshairs of his scope, but for reasons only known to him he did not pull the trigger. That is when things go from bad to worse for the hitman. The local police were going to take him out, but lucky for him his is a better shot. When Gadomska and her bodyguard find out about the scheme and go after Casey, he ends up jumping from the frying pan into the fire by kidnapping her. It seemed like a good idea at the time, but now Casey is back to where he started before he took the deal. But he has doubled is trouble. Not only does he have the original people after him but now he has the cops and the wealthy owner of the factory putting a bounty on his head. Casey’s Last Chance is a perfect noir mystery. It is gritty, has rough characters and the main character is no angel. The writing style takes me back to the old Alfred Hitchcock Magazines I read as a very young girl. Even though his wings are tarnished, I was fond of Casey and pulled for him even in spite of his shortcomings as a person. Atkins is currently teaching journalism at the University of Mississippi. He is a US Army Vietnam Veteran, a noted journalist and former congressional correspondent. He has written previously published short works of fiction and a non-fiction book entitled Covering for the Bosses: Labor and the Southern Press. I highly recommend this book for fans of noir mysteries. 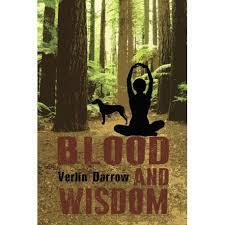 It is complex, fast paced and true to the genre. I’m looking forward to seeing more of Atkin’s work.